Kansas now has a working steam engine and it'll be up and running this weekend for your train watching and/or riding pleasure. 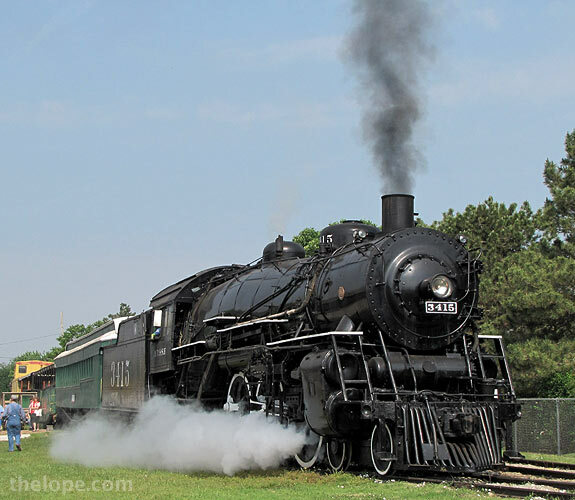 The Abilene and Smoky River Valley Railroad Association's recently restored 1919 Baldwin steam locomotive will be pulling short passenger runs from Abilene's Dickinson County Historical Museum to a point east of there, then back again. They don't seem to have their own website yet, but call the railroad at 785-263-1077 for details.